WHY doesn’t every oil change waiting area have this hung up? This is my only question. 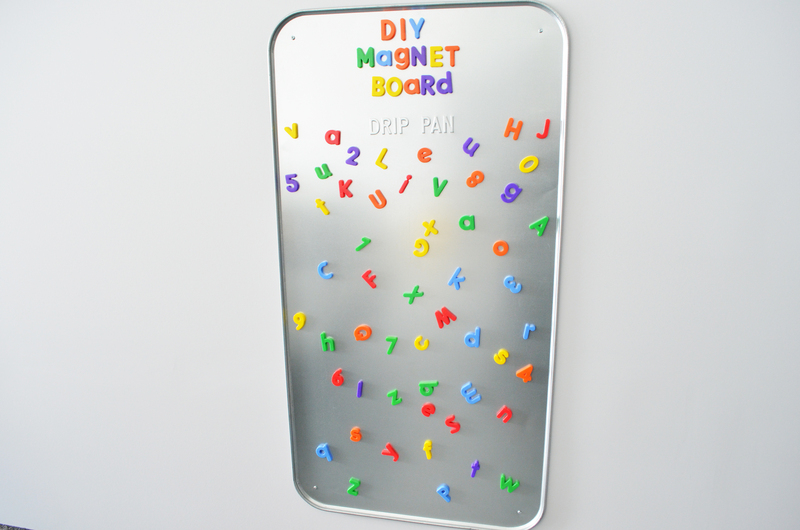 This oil pan hung up as a magnetic board is awesome in so many ways. The drip pan is currently hanging as beautiful art on my garage wall; also a fun, safe and educational play area to deter my children from touching unwanted items. Another great idea, I’ve seen others on Pinterest use chalkboard paint on a second oil drip pan to use as a chalk board wall next to the magnetic board. For myself I opted out of the chalk board since we have a huge DIY Chalkboard Wall painted inside (Click here for tips). I could not wait to start using this board to leave messages to each other and for Maxwell to play with while battling his sissy to get in the car. The very first day we started leaving messages on the board. The first message, Have a great day and my son responded with spelling out, I LOVe U. The next day there was a number 2 added to that message 🙂 I’m sure there will be many more fun messages to read in the future as we walk out the door. I mean how cool does this look?! Current UPDATE! 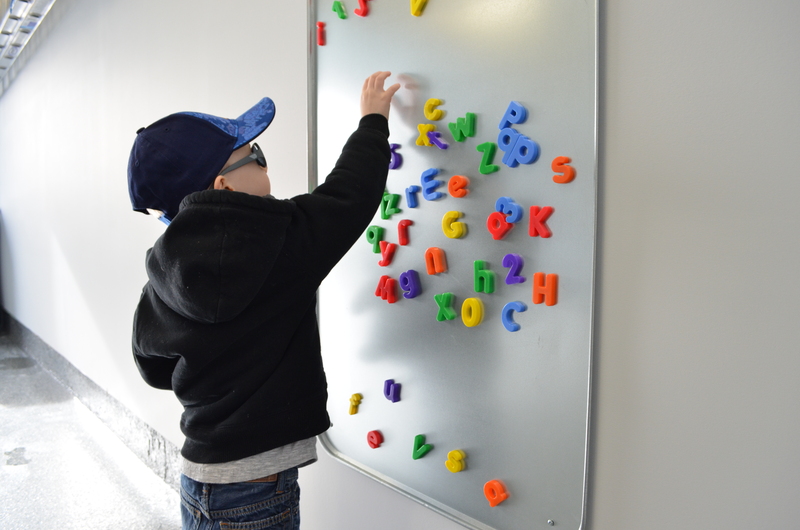 Maxwell loves his magnetic board still 3 weeks later and going strong. I think this was one of the simplest, least expensive and the best DIY’s yet, I just love it! READY… SET… GO! 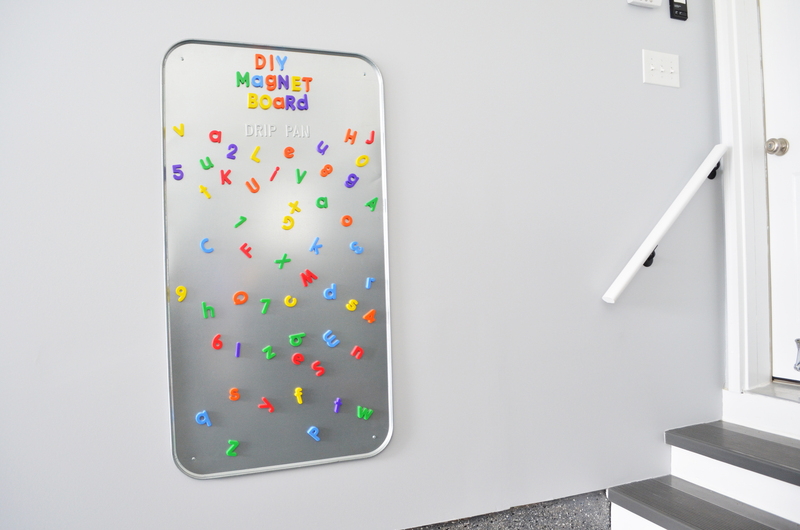 DIY THIS AWESOME MAGNET BOARD TODAY! Love this idea! We use magnets to stick reminders etc to the refrigerator but having a special area like this would look so much better!